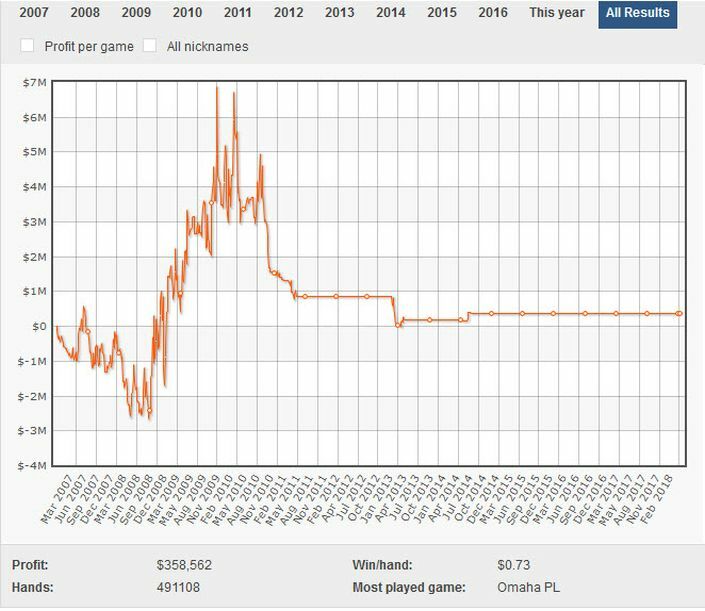 Just one look at that graph shows how high the stakes were and how swingy the biggest games proved to be, with pots of over $half a million regularly showing up amongst the big boys of the online game. 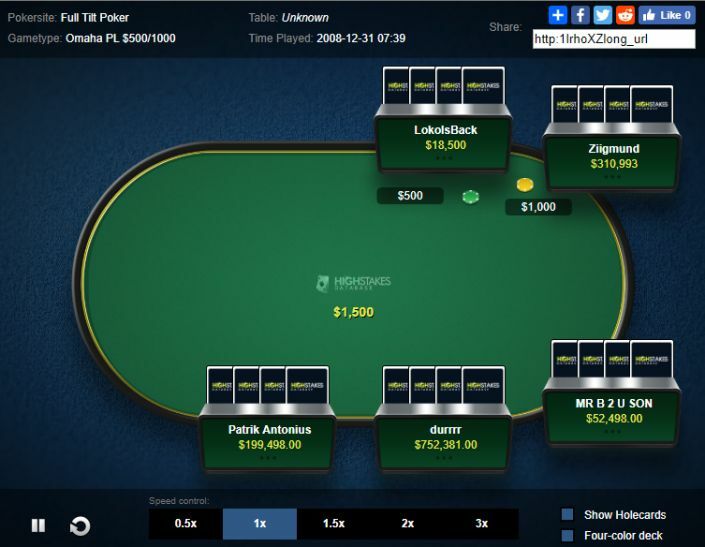 There are few players who have crushed the game as much as Patrik Antonius, but against ‘durrrr’ things weren’t quite so rosy, their highly-publicised ‘durrrr’ Challenge match going against the Finn quite heavily. 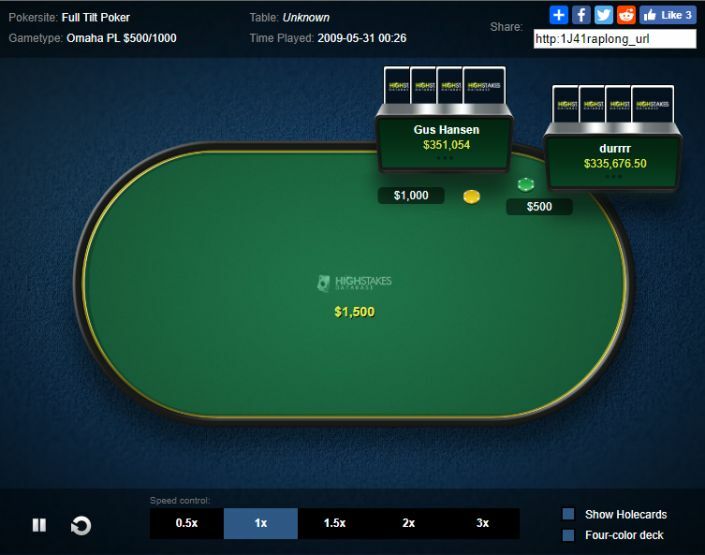 Antonius, of course, holds the record for the biggest online pot ever won – and crushed the online game for close to $20million – but every player has a bete noir, in this case Tom ‘durrrr’ Dwan. 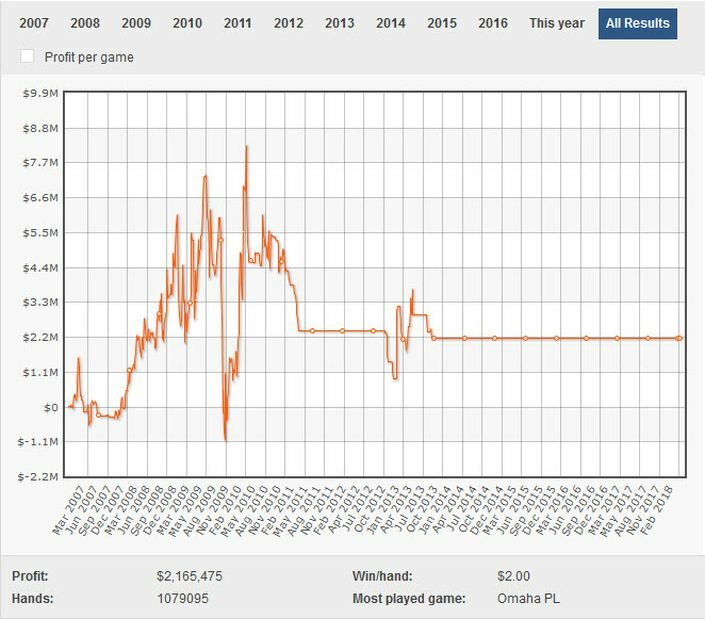 While Gus found himself in a downward spiral with no signs of an escape hatch, Tom Dwan was bouncing up and down the profit and loss charts. …with the biggest difference being that Dwan’s bottomed out a good $2million healthier than his Finnish counterpart. Of course, when you are playing $500/1000 PLO, swings are bound to happen – and running into quad queens doesn’t help the bank balance either! Perhaps the reason that Tom ‘durrrr’ Dwan did so well against a variety of top ‘Scandies’ was that his aggressive, innovative and fearless play was a mirror of their own back in the online poker nosebleeds heyday?